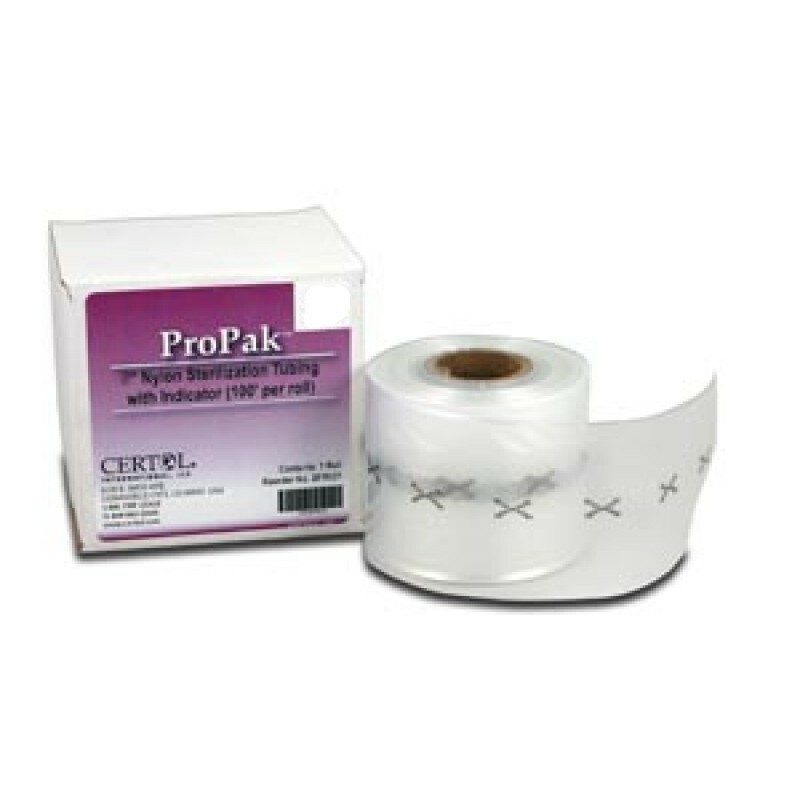 ProPak Nylon Sterilization Tubing is made of durable, transparent nylon sterilization film. It is used to maintain sterility of instruments and is ideal for steam and dry heat processes. Built-in indicator changes color, verifying instruments have been processed. Ideal for dry heat processes.